I love a good documentary but I'm also the type of person that questions everything I read and watch. I think it's important the general public understands what classifies a film a "documentary" and the standards (or lack thereof) associated with producing these type of films.
" What is it about the nature of the documentary that the viewer automatically assumes the good faith of the filmmaker? .....yet how can we know that what we are witnessing onscreen is the truth? Considering the seriousness with which we engage these films, and the power of the messages they often convey, it is surprising that a general set of standards--that could be held up to rigorous review--has not been developed. " "This baseline research is necessary to begin any inquiry into ethical standards because the field has not yet articulated ethical standards specific to documentary. These interviews demonstrate, indeed, a need for a more public and focused conversation about ethics before any standards emerging from shared experience and values can be articulated. 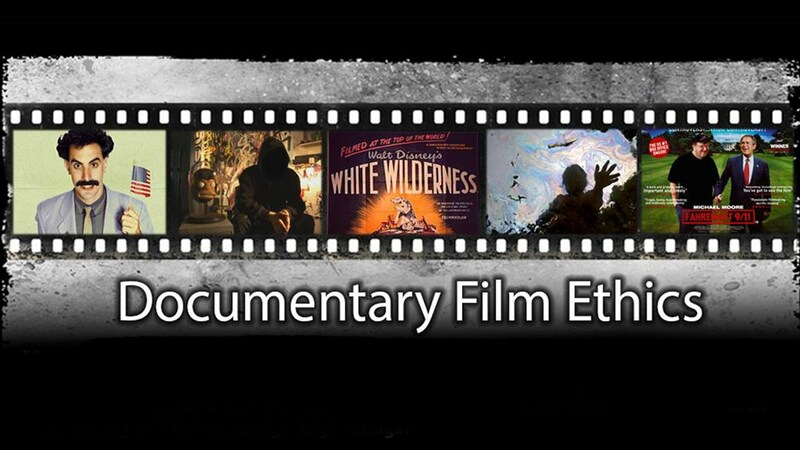 Documentary filmmakers identified themselves as creative artists for whom ethical behavior is at the core of their projects. At a time when there is unprecedented financial pressure on makers to lower costs and increase productivity, filmmakers reported that they routinely found themselves in situations where they needed to balance ethical responsibilities against practical considerations." "Concerns about ethics in documentary film are not new, but they have intensified over the past several years in response to changes in the industry coupled with a lack of common standards to reference." By now I'm sure you've heard of the very popular new "documentary" called "What The Health." It's getting a lot of attention and as a result many social media influencers are passionately sharing their new vegan diet and approval of the film. I'm personally not seeing a lot of influencers coming forward publicly in question or opposition of the claims made in the film. I find this problematic due to how easily swayed many are by the opinions of those they like & trust (social media influencers) and the lack of exposure to opposing views to form an unbiased opinion. I've been asked my take on the film enough times to feel compelled to touch on it. I watched the film and spend some time actually looking into the claims and the supporting evidence for them. I have a few takeaways I want to share with you. But first I want to be open and honest about my position going into this. Full Disclosure: I am an omnivore. I understand and acknowledge the many reasons one may choose to become a vegan including: the moral reasons, environmental and sustainability issues, family or social influence, health claims, and personal preference. Veganism as a result is a very complex and emotional topic for many. Please understand, my intention for addressing this is not to stir up any heated arguments, "bash" the film (as many have commented) or criticize the vegan diet in general. I simply felt it would be helpful to those who are confused after watching the film, to share my findings. The film very briefly touches on the environmental issue but mostly focuses on health claims. I don't necessarily disagree with the very real moral and sustainability issues. but for the purpose of staying on topic, I'm only going to address the health related claims made in the movie. First I'll outline the top 4 problems I see with the movie then I'll go over the 3 things I liked and agreed with in the movie and last I'll offer my final thoughts on the movie and what I think a sensible health conscious diet approach would be. Problems I see with "What the health"
1. The film makes some pretty polarizing claims and the general assumption by the public is that they are all based on "science". Spoiler Alert: They are not. When it comes to any research study it either fits the Gold Standard in testing or it doesn't. 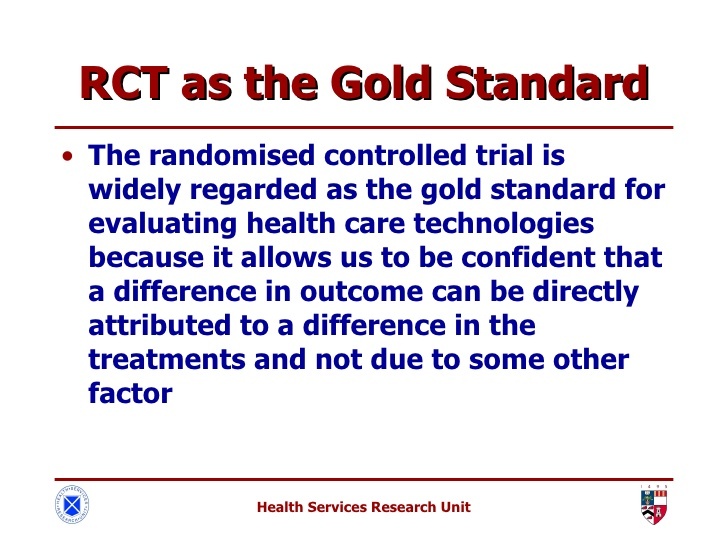 The gold standard would include live human clinical studies that are randomized with a sizable relevant population sample, a control group, and enough compliance throughout the duration to arrive at any conclusion to support a claim. 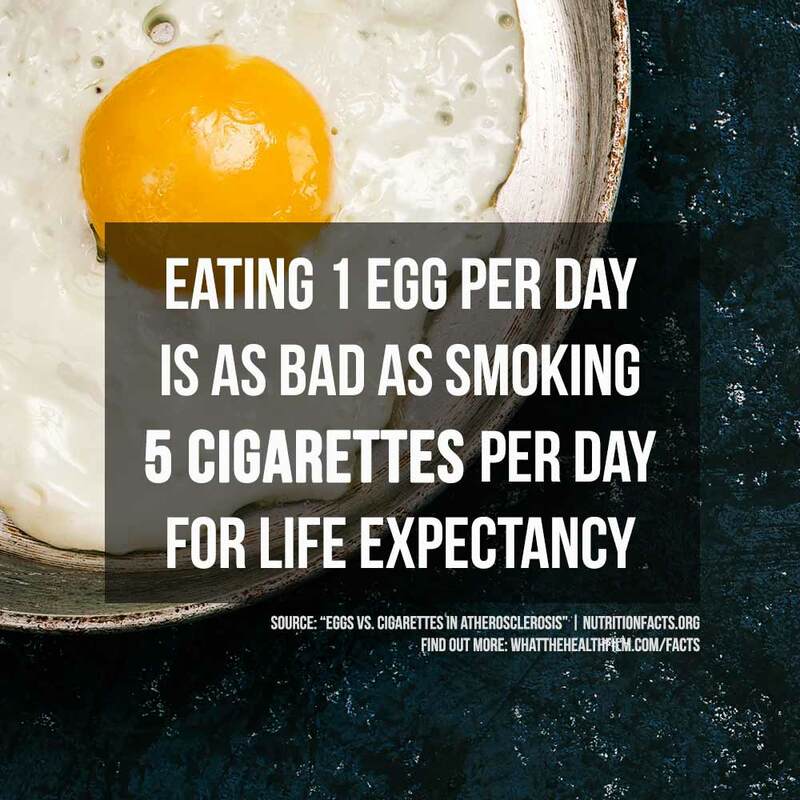 The "what the health" website has a "facts" page in which they cite all their supporting evidence for the claims made. I'll link it HERE. 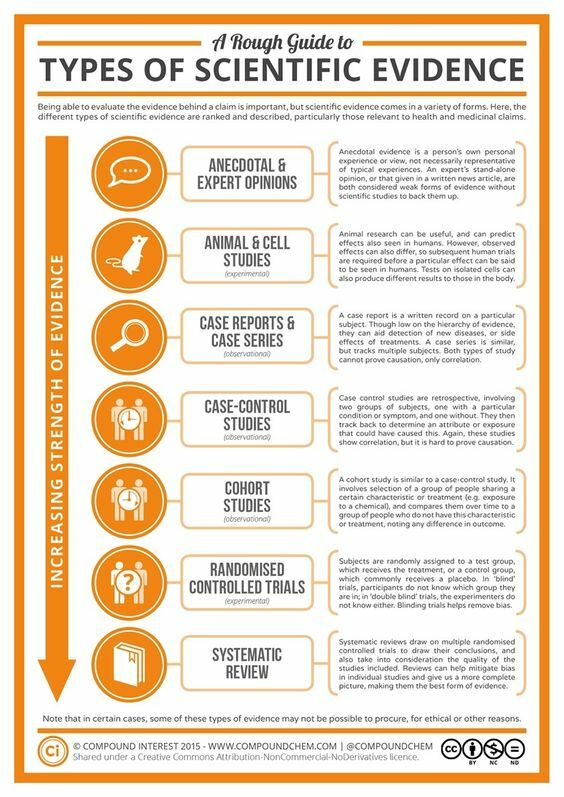 Most of the evidence used to make claims in the film are from blog posts & articles by vegan doctors with little to no primary cited sources, inconclusive case studies on small samples of just 1 or 2 people, in vitro studies - NOT in Vivo, not the same as live humans trials but instead on test tube cells, and epidemiological studies. I personally do not consider the articles written by vegan-diet doctors as strong pieces of evidence to support the claims made in the film. They are not peer reviewed, they rarely cite a primary reliable source, and the likelihood for bias is problematic. 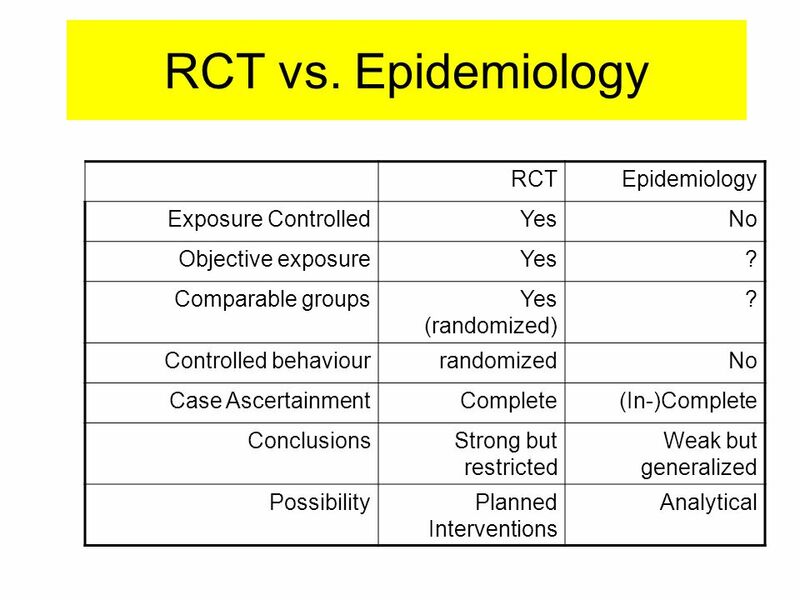 There are MANY flaws with epidemiological research. For this reason they do not even come close to meeting the gold standard in research. Most of these studies cited involve lifestyle & food recall questionnaires. A group of people are asked to recall what foods they regularly consume and the frequency in the last 6-12 months. Researchers claim to be able to adjust for various confounding and lifestyle variables (the fact that such adjustments are rarely made & the potential for bias here is also an issue) to cross-calculate them against death rates by disease to arrive at a hazard risk ratio value to establish associations or correlation. These studies can rarely ever establish actual CAUSATION. There are some obvious issues with these types of studies. For example: I challenge you to ask anyone you know to recall with 100% accuracy everything they ate last week, much less in the last 6-12 months. Truth is people often forget this kind of information and they are likely to exaggerate, down-play, or outright lie in the presence of a white lab coat. This is what's called: Recall Bias. If that's not enough reason to question the validity of epidemiology, keep in mind that most of these studies cited didn't even fully support the claims made. In other words, the filmmakers not only cited many unreliable studies, but the majority of the cited studies' results do not support the claims made in the movie anyways. The majority of the studies cited reported risk ratios < 2. And scientists in most fields consider risk ratios under 2 to be unreliable for supporting any claim. There is a ranking system used to determine whether a study is reliable or of low quality evidence. The system indicates that unless relative risk is greater than 5, epidemiological studies are typically unreliable and provide only low quality evidence. Also important to note: there is a big difference between risk ratios, absolute risk, and relative risk. And numbers can be easily represented in a way that is alarming and scary and much bigger than the real risk and unfortunately this is often the case for risks reported in the film. Out of all the evidence cited on the what the health facts page, Not ONE single randomized controlled sizable clinical trial was cited that actually supported ANY of its claims. There were a few clinical trials cited that oddly enough did not support their claims which is confusing and makes me wonder if anyone fact-checked the claims or if they're all just really bad at interpreting data. 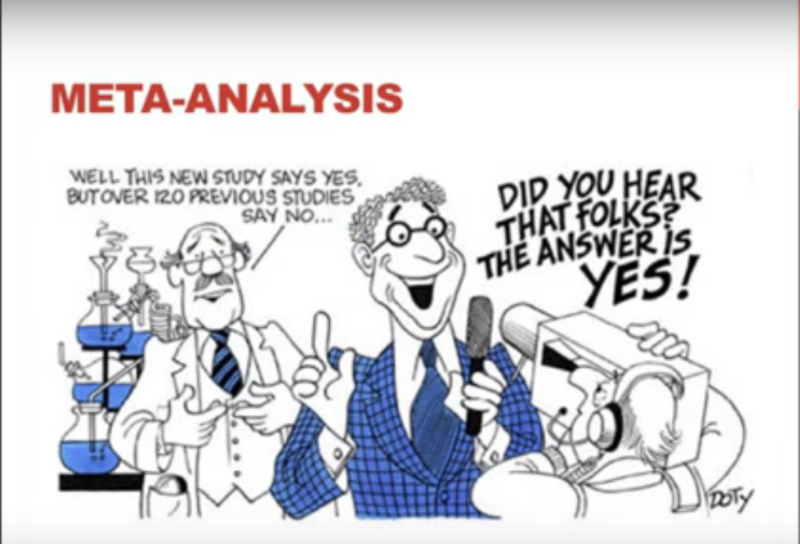 I do not claim to be a research expert but I know how to locate studies and understand who and what was tested and truly believe the average person is capable of understanding the conclusion or results of a study. Unfortunately, most people won't even go this far. Most* (not all, and likely not YOU considering your interest in this post) will blindly trust the claims and the makers of the film know this about the general population. Out of the almost 40 health claims made, 3 claims in particular were very alarming and worth addressing. 1.1. Meat Causes Cancer and is a Known Carcinogen. and they admittedly could not rule out chance, bias, and confounding variables for the conclusion on red meat. I'm linking here a great easy to understand article by 2 well respected professors who focus on evidence-based medicine on the mistaken ruling of red meat and cancer risk and why it's irresponsible and should be removed immediately. 1.2. If you eat red meat you have a 1 in 3 chance of getting diabetes. It is irresponsible to then assign all the blame of that risk onto meat just because a western diet includes some meat consumption when it also includes high amounts of sugar, processed foods, refined grains, vegetable oils, trans fats, and other factors. Important to note: in the results they observed that the cases with diabetes tended to be more obese, more likely to be a smoker, and engaged in less physical activity. ALL of which any reasonable person could see as potential confounding factors and therefore no absolute risk between just red meat and diabetes could be reported. Again, red meat consumption is not even what was being tested. I'm not sure where this alarming claim came from. It's ridiculous and far fetched. There is no evidence to support this claim. 2. The film is definitely NOT unbiased but pretends to be. The film opens with kip setting out on a mission to "find out the truth" about diet and disease but fails to mention he's been a passionate vegan for many years and he was involved in another popular vegan film: Cowspiracy. All the featured experts are known, very well connected, published, and powerful vegan diet speakers, advocates, & doctors. 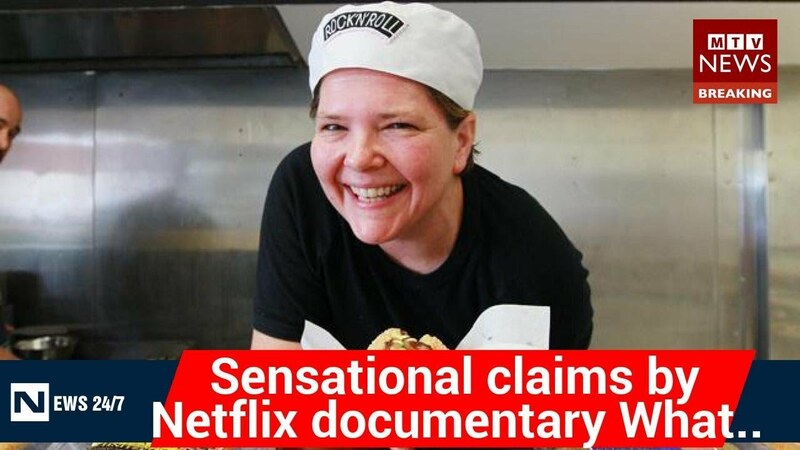 The filmmakers use strategic editing to make every other non-vegan diet doctor, scientist, or representative featured look bad, secretive, or unknowledgeable. 3. The use of scare-tactics, omission of information and conflicting research findings, & bad investigative-journalism to paint a narrative. The blatant cherry picking of studies cited is frustrating. Example: The Study Kipp confronts Dr. Robert Ratner chief Science officer, American Diabetes Association about the Vegan diet outperformed ADA diet, but completely chooses to omit research supporting that a Non-Vegan Low Carb High Fat Diet (Ketogenic Diet) outperformed both! Even though the filmed attempted to make Dr. Ratner look temperamental and unwilling to discuss, I actually really liked this part of the movie. What I think most people are missing here is that diet is such an emotional topic for many. Truth is ALL DIETS WORK - but one diet does not work on all people. The problem with any diet comes down to compliance. People do not stick to diets, and therefore they don't generally see results from them. Continuously calling and confronting front desk operators, security guards, call center operators or the first line of defense employees with serious questions that should be directed at experts in their prospective fields to make it seem as though "No one will answer the questions! They must be hiding something!" These people are just doing their jobs, and their job is not to have expert knowledge on dietary recommendations and research. 4. The film doesn't offer any practical advice on how to realistically transition into a plant based diet. Instead it tries to scare us into making a very abrupt switch to immediately cut out animal products completely. We all know this is not realistic or nor practical. I think a more plant-based diet approach would be a wonderful thing for many, but the suggestion in the film was NOT: "consume more plants". It was "animal meat is unhealthy" - with no sound science or research to back the claims. A more helpful approach would have been to share the benefits of eating more plant foods and potentially educating the viewer on some of the very real moral and environmental cases for transitioning into a more plant-based diet. Many people are unaware of the unsustainable food production practices and their potential environmental implications they could have used the opportunity to truthfully touch on this topic. Instead the went for a racially charged spin on this. No one can argue with the very valid personal and moral reasons for choosing a vegan diet but the filmmakers know not everyone shares the same morals so they feel pressure to use other reasons to make the case for veganism. Unfortunately, they chose fear-mongering and a black or white, all or nothing, "if you eat meat you'll get of all these terrible diseases" approach which is simply not true nor based on any hard science to push their agenda. Honestly it's just mean and confusing to most people. 1. The issue highlighted of Corporate food sponsorships for medical, food, & drug governing bodies is indeed problematic. These groups are trusted by many of us to provide diet and lifestyle recommendations but it's reasonable to assume that their meat, dairy, egg, and processed grain & food sponsorships may sway what they choose to recommend so not to upset or lose their corporate sponsorships. There's a potential for bias or corruption with this and it is concerning. 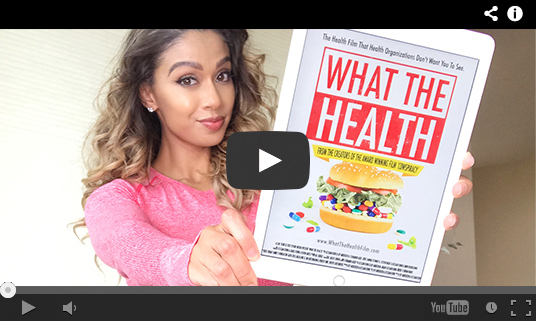 It's also fair to mention the "What the Health" film was completely funded and sponsored by vegan diet & animal activist groups & leaders which may have also swayed what they chose to recommend to us in the film. I think you know where I stand on that. 2. The bit on epigenetics and how your genes are not your destiny. I thought this part was great and I agree that just because there is a history or risk of disease it doesn't mean you are doomed to experience them. This highlights that your diet and lifestyle choices make a big impact in your health and for that reason we should choose wisely. Again though, they used a valid point to suggest the only option is veganism which is simply not true nor helpful. 3. The part on the negative consequences of the centralization of pigs being raised for food production. I agree, there are many concerning environmental and sustainability issues with this type of food production practice. Generally, I don't eat pork products but I advocate for decentralized meat production. I support smaller responsible farms that take sustainability, social and community responsibility, safety, and the humane treatment of animals seriously. Here's a blog post I wrote on this topic. However, this is a completely separate and complex topic and since it wasn't solely a health related claim I'll leave that topic for another day, maybe. In conclusion, I feel this was an irresponsible use of the appeal to authority without any hard science to frighten the mainstream public into adopting a singular diet lifestyle without any regard for bio-individuality. The truth is we're all different and there is no ONE perfect diet for optimal health for everyone. Meat & animal products contain many valuable nutrients and so do plant foods. I agree we do not consume enough plant foods in the western diet. I actually love and encourage the idea of a mostly plant-based diet with some optional occasional sensible servings of grass fed, organic, sustainably raised or farmed animal protein and safely wild caught and tested seafood for the valuable nutrients they provide. I know this review of the film was different than my usual (light, attainable approach to health & fitness) content but I felt it was necessary since the consensus so far has been that somehow the film and it's claims were based on science. If you found this helpful or informative and know someone who should see this video and read this review please share it. I think exposure to various opinions and taking the time to understand the research should be an important part of forming our own decisions.